Pre-game warmups aren’t usually part of the moviegoing experience, but Prisoners may require a little preparation. Quite simply, it will wear you out. Director Denis Villeneuve and writer Aaron Guzikowski have crafted a relentlessly intense, utterly engrossing mystery/thriller that will bludgeon your nerves, tease your sensibilities and leave your morals in disarray. Hugh Jackman is unbelievably great as a father desperate for answers after his daughter, and his neighbor’s daughter, are abducted on Thanksgiving Day. The assigned detective (Jake Gyllenhaal) believes a troubled local man (Paul Dano) is to blame, but can’t find the evidence to hold him. 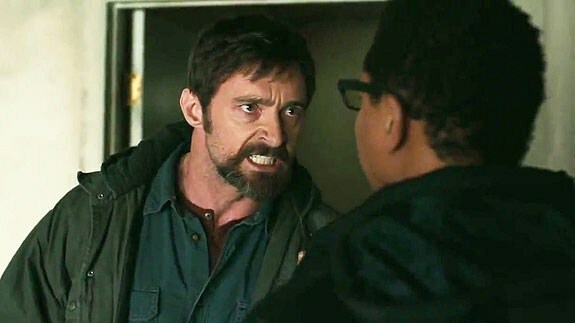 Jackman’s character, overcome with rage, takes matters into his own hands. That’s all the info you need, but just a tiny fraction of the complex chain of events set in motion by the crime. Guzikowski, who adapted the Contraband screenplay last year, delivers a twisting, intelligent script that lulls you with the familiarity of the premise all the while it’s leading you places you may not want to go. Villeneuve, best known for writing and directing the Oscar-nominated Incendies three years ago, makes a stunning English language debut that succeeds on many levels. If a thriller was all it was, it would be a good one, relying on a substance that recalls years of Hollywood films from Death Wish to Gone Baby Gone. Prisoners transcends the genre in the way it forces its audience to face the same moral ambiguities the characters are up against. The stupendous cast, which also includes greats such as Terence Howard, Viola Davis and Melissa Leo, fills each character with gritty realism, allowing actions that seem justified in one set of circumstances to be easily called into question. As surprises mount, the film lands solid blows to perceptions of torture, fear-mongering, religious fanaticism, and even basic parenting. Sound like a lot? It is, and the film earns every minute of its two and a half hour running time. It is a dark, cathartic journey that is not for the squeamish, and the film’s length only serves to reinforce the hell these people are going through. They want it to end, and so do you, but only because the film has hooked you so deeply. You’ll need to pay attention and listen hard, and though you probably won’t figure things out early, the clues are all there in front of you. Prisoners is a breathtaking ride that rewards the effort it demands, ultimately providing a satisfying payoff, capped by an unforgettable final scene that may very well find its way into your dreams. You absolutely have to be prepared for this one, because it’s a movie that never lets go of its grip on you. Same goes for the amazing ensemble as well. Good review. No doubt. I am still thinking about it days later. Thanks!